Bob is a former board member or chairman of eleven organizations, an adjunct university instructor on leadership, and a high honors graduate of both Harvard and Princeton universities. Bob will read inspiring passages from some of the masters of literature with deep meanings for all of us. After each passage, brief interactive discussions will be held among DAB members about the lessons we can glean from these masters for practical applications in our busy lives. Be ready to dive deep, think hard, and be inspired by the masters. Modern science has shown that the brain is malleable. What we think, do, and pay attention to changes the structure and function of our brains. Mindfulness is a way to change the wiring of our brains for the better. With training, you can improve focus and productivity, strengthen communication and relationships, better manage difficult experiences, and increase resilience. Come learn what mindfulness is and how it can help you do just that! Andrew founded the Dynamic Leadership Center to help his generation be more productive at work. He believes that small tweaks in how we use our brain can fundamentally change our work performance, effectiveness of relationships, and overall fulfilment. (Oh, and make companies more profitable too). * is active in shaping the mindfulness community — he collaborates with leading experts to create content, facilitates sessions in companies and his community, and has a dedicated practice of his own. In his free time, Andrew seeks out endurance/adrenaline sports (i.e. setting hard goals for no apparent reason) and meditation (i.e. sitting in excruciatingly uncomfortable positions for mind numbing lengths of time). 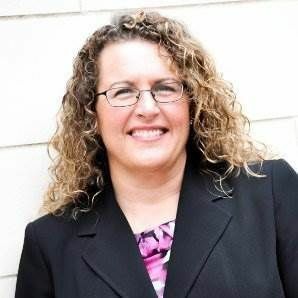 Rosalie Chamberlain is the Director of Rosalie Chamberlain Consulting & Coaching. She is skilled leadership and executive coach and consultant, having worked with a broad range of corporate, government, and private industries, both national and international. Additionally, she is a nationally recognized speaker and program facilitator. Rosalie has more than 18 years of coaching experience working with individuals and groups on leadership development, team building, talent management, career transitions, and helping organizations become successful and inclusive environments. She specializes in helping leaders obtain leadership mastery and enhance or develop critical skills that maximize the talent of the workforce of their organization, as well as identify and understand any potential blocks and beliefs that hinder progress. Rosalie specializes in leadership assessment and effectiveness, multicultural competencies, leadership influence, talent management, organizational culture and managing and leveraging diverse talent. She has unique experience with respect to organizational culture, having worked with multicultural organizations with complex diversity and inclusion challenges to develop and implement strategies, behaviors and best practices for building inclusive organizations. She is the author of Conscious Leadership in the Workplace: A Guidebook to Making a Difference One Person at a Time (2016). Rosalie is a contributor to The New York Times, HR News Magazine (International Public Management Association for Human Resources), Strategic HR Review, Talent Executive, Chief Learning Officer, ABCNews.com, Onward Nation, Strategy Driven, Recalculating: 97 Experts on Driving Small Business Growth, Center Valley Business Times, American Diversity Report, as well as multiple national and international blogs. In February we are pleased to host Jon Saints, a Senior Engineer at Digital Globe. He will be speaking about the company’s mission and their satellite imagery interpretation. Jon is a graduate of the University of Arizona and a Fulbright scholar. He has lead tech initiatives for startups as well as large tech companies. Jon is seasoned software engineer, proven innovator, and business leader. Currently he is a Senior Manager at DigitalGlobe working to unlock insights from DigitalGlobe’s massive library of high-resolution satellite images which cover every inch of the planet for the past 15 years. Beth Smith has been empowering business owners, hiring managers and human resource directors for over a decade to interview and hire the right person the first time. She discovered the importance of the interviewing process when she made a poor hiring decision, which almost led to the demise of her first company. After launching an enormous research project so that she could learn how to conduct more effective interviews, she concluded that there is a science to interviewing. She also discovered that many managers are thrown into the interview room, scrambling to figure out what to ask and what to listen for, instead of actually being taught how to conduct an effective interview. Beth’s mission has become to transform the world through the interview processin order to promote happy and productive work environments for both employers and employees. To do this, she created A-list Interviews. Through the research she did on the interview process and through the almost 20,000 candidates that she has interviewed, Beth developed the Response Analysis System™. Studies done on the Response Analysis System™ show that 91% of those who were interviewed and then hired based on the Response Analysis System™ are still employed by the company 12 months later. The power of this system is from the advanced ability to listen to job applicants and measure their fit into an organization both culturally and for skill level. She currently lives in Boulder with her family. In her free time, Beth is the Orientation Coordinator for PawsCo, a Colorado animal rescue organization. She is also an avid swimmer, loves to lift weights and is a die-hard football fan. Have you ever created exciting plans for the new year only to wake up a few months after the beginning the new year to find you have not begun work on any of them? In this dynamic and engaging presentation, life-leadership coach, martial arts master instructor and former national champion, Chris Natzke, will share strategies for creating a powerful annual plan and share championship tools to assist you to stay on track throughout the year. For over four decades, Chris Natzke has been a dedicated student and teacher of the martial arts, achieving the rank of 7th Degree Black Belt/Master Instructor, ranking him in the top 1% of all martial artists in the world. Also an accomplished national competitor, Chris won the United States National Taekwondo Championships in 1999. In 1995, he left a very successful career in corporate sales to create his martial arts organization, the Colorado Alliance of Martial Arts (CAMA). Since that time, the lives of thousands of students (both children and adults) and their families have been positively impacted through his teachings, with over 600 students reaching junior and advanced ranks of Black Belt. Now Chris is taking his impactful message beyond the walls of the martial arts school and out into the world. Businesses and organizational leaders are positively impacted by his message highlighting his “7 Qualities of Black Belt Leadership”. These qualities represent his journey over four decades in martial arts, personal development, motivation and leadership. In addition to his work with companies and organizations, Chris has also impacted thousands both in the Denver area and nationally through his “Kindness Counts” program. Through his programs, school-age children are taught bully-proofing verbal self-defense skills as well as the benefits of non-violent conflict resolution. As a result, over 250,000 documented random acts of kindness have been generated in the Denver community since 2005. Chris holds a bachelor’s degree in Communication Studies from Northwestern University and a Masters in Spiritual Psychology from the University of Santa Monica. He is also the author of the newly published book, Black Belt Leadership: 7 Keys to Creating a Life of Purpose by Discovering Your Inner Champion. Chris Natzke’s principles of success and leadership have transformed the lives of literally thousands of students, business professionals and organizational leaders. His message of inspiration, empowerment and belief in one’s self, leaves audiences moved and inspired to take decisive action in creating the lives and careers of their dreams while making a positive, profound and lasting impact in their world. Darren Rogers is a mountaineer who started climbing trees at a young age. When his family moved to southern Colorado his climbing interests changed to mountains where he has climbed many of the 14er’s. Locally, Darren enjoys hiking and snowshoeing the trails in the Big Horn mountains outside Sheridan, Wyoming always chasing his favorite part of the day, sunrise. Darren has traveled to remote parts of the world experiencing cultures and testing his mental fortitude at high altitude to reach mountain tops in Africa, Bolivia, Ecuador, Tibet and Nepal. In Tibet while climbing Cho Oyu, he was one of the last people out of high camp on summit day but passed over 75 people with his Sherpa reaching the summit at sunrise. In 2015, he set his sights on Mount Everest and Lhotse and was at Camp 1 during a 7.8 magnitude earthquake which ended the expedition. In 2016, Darren returned to Nepal and had a successful climb of Mount Everest. When not climbing, Darren is a Chemical Engineer and enjoys providing practical solutions to the Oil & Gas industry. See the pictures, hear the stories of training, life in Base Camp and experience of climbing the World’s highest mountain. Tom Athenour, CEO/Principal at StarQuest Group, has been in the professional development business for nearly 25 years, and has worked with Fortune 500 companies to entrepreneurial start-ups to help them achieve profitable growth objectives, develop leadership talent, and create healthy organizations. 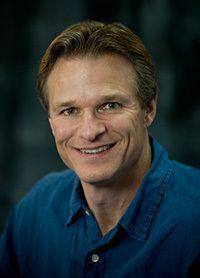 Prior to co-founding StarQuest in 1998, he was VP of marketing for International Learning Systems, a consulting firm that worked with Fortune 500 companies across North America. Before entering the consulting business, he worked nearly 15 years in the financial services industry and held leadership positions in marketing, operations and sales with Bank of America, California Bancshares, and Piper Jaffray. His passion (and purpose) is to work with executives, mid-level leaders, and sales professionals to help them elevate their game; increase their effectiveness; and lead more creative and fulfilling lives.